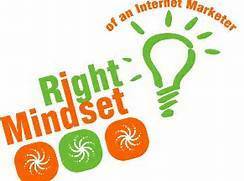 Mindset for Success: Is your mind set on obtaining the right mindset for internet marketing success? Are you open to exploring or examining options for further developing your thinking? Following someone who has perfected the techniques of internet and attraction marketing can open your mind to great possibilities and create visions of grandeur. Having prospects come to you asking to join your business is enough to get anyone excited..and if that person can do it then why couldn’t I? Well you can…anyone can… however, lets put some things into perspective and keep ourselves grounded shall we. It might not be as easy as some make it sound…but don’t let that derail you. There is adequate coaching and mentoring available for anyone that wants to learn the skills needed. And it all begins with your mind. You need the right mindset for success. 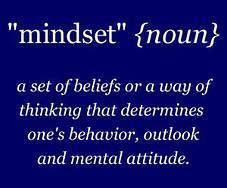 Having the right mindset for internet marketing success is an ongoing skill that requires constant replenishing. Let’s start with what I mentioned above. Keeping it in perspective. Creating the illusion that it’s easy is something too many in this industry promote, giving others false hope and unrealistic ideals. That grand vision of “Firing Your Boss”. Nothing sounds better than that, right? Newsflash…the new boss is going to have to be tougher than the old boss was. We said work remember? Work, dedication, discipline, structure, organization, proper mindset, training, application, action, testing, rinsing and repeating, and so it goes. You have to get up in the morning and show up for work.. ready to rock. Every day. But where’s my cakewalk? What about this 5-7 hour work week I keep hearing about? The 30 day challenge? The system does all the work for you? “No one told me I was the one that had to make this happen!”. But it is up to you..no one else can do it for you. We can help, we can point the direction and provide the training, but the rest is on you. And this is where your mindset comes in. It’s so crucial. Fact of the matter…you are going to require specific skill sets, and if you don’t have those yet, you are going to have to acquire them.There’s a learning curve involved. A BIG ONE. Let me say it again – to have a successful business, you need specific skill sets. Skill sets that many of us don’t know yet what they are. Let me just add this. I’m no expert. I’m in training, and I’m passing the torch. It has been my intention all along to find the right training,the best training I could find, and dive in…and share my progress with you. Share with anyone that’s interested..and that’s what I’m doing. Today we learned about something called The Solution Economy. There are things happening now that are creating massive opportunity. Big changes taking place in so many ways that are creating vacuums for us, the small business owner and the internet marketer, that we can slide into and take over. Did you know the predictions that by the year 2019, 40% of the workforce will be independent contractors? The time is right, the scene is set. Online marketing and online business is inexpensive..you can live anywhere you want and work, build, and control your business. Get your mind set for success. Let me just close with this. Internet marketing is inexpensive yes, but what expenses you do have, is in your education, Learning the right skills and learning the right mindset. This is ongoing and it is mandatory. The internet is changing and evolving almost daily…what worked last decade, last year, or even last month may not work today. Plan on putting your profits back into your education…for a while at least. And plan on consistently, and constantly, working on that mindset for success. Great job on your blog, Brett!